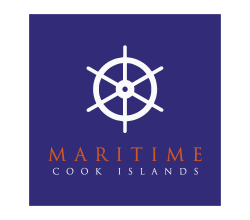 Maritime Cook Islands (MCI) has a contract with the Government of the Cook Islands to operate the Cook Islands Ships Register. The Registry operates an open register for ships and yachts via a global network of Deputy Registrars. It is a commercially driven International Ship Registry, recently reporting impressive growth under CEO, Glenn Armstrong, with a current fleet of just under 600 vessels. In 2015 the MCI decided to update their existing systems, which consisted of a number of disparate systems and spreadsheets, to a single online system. The MCI’s legacy database was not aligned to their processes and procedures and was proving be to unreliable and difficult to update, so the team at MCI decided to go out to the market to see what options were available. From our discussions, it was immediately clear that there was significant alignment between our Registry and Regulatory Division’s MARIS platform, MCI’s system criteria and their business goals. The MCI’s senior management team were keen to progress with the implementation of MARIS and the project was launched just three months after the first demo was provided. The MCI team worked very closely with PDMS during the MARIS implementation. during which the MCI took the opportunity to review all of its processes and procedures. This work with the continuous support and assistance of PDMS, has resulted in a sound operating system, which aligns with the MCI’s procedures, processes and most importantly their international and national obligations. The project team was spread across different jurisdictions and time zones. We worked from the Isle of Man (GMT) with team members based in Italy (GMT+2), New Zealand (GMT+12), and, the Cook Islands (GMT-10). Working together in the various time zones could have been challenging, but through good planning and the use of video conferencing technology, it really wasn’t an issue at all – although there have been a few early mornings for us and a few late nights for the MCI team! Working closely with the team at MCI, the first phase of the project saw the MARIS platform being configured to meet their requirements including setting relevant vessel and survey criteria, branding certificates and other outputs, updating locality details e.g. currency and time zones, and setting up user permissions. Several additional features were implemented in the initial phase, local certificates and amendments to the seafarer certificate functionality. A custom data migration was also undertaken to transfer seafarer’s data from spreadsheets and vessel data from a PostgreSQL database into the new platform prior to go-live in June 2016. The second phase of the project, which began in November 2016, included extending seafarer functionality to include the issue of Certificates of Competence (CoC) and Certificates of Proficiency (CoP) and to provide online verification of all seafarer certificates in order to meet MCI’s IMO obligations. A reduction in the workload of Fleet Management Services with surveyors now able to access the system directly to enter survey reports, complete records of equipment and generate interim certificates. Task allocation allows the team at the MCI to quickly and easily monitor and keep on top of tasks. MARIS has revolutionised how the STCW Department operates in day to day and reporting activities. All documents submitted in support of applications are uploaded and stored in MARIS and all certificates are now processed in MARIS too. This means that the Deputy Registrar Offices, can process Endorsement applications and issue the Letter of Acknowledgement (LoAs) almost immediately after receiving an Endorsement application. Head Office can also maintain real time oversight of all activity in the system. Prior to MARIS, the average turnaround for Certificates of Competence and Certificates of Proficiency applications was about 2-3 days following the submission of the application. Since the introduction of MARIS, the turnaround has been hugely reduced to 12-24 hours. We have received positive feedback from our approved Maritime Training Centres who appreciate the fast and efficient service because of the electronic certificate generation feature in MARIS. 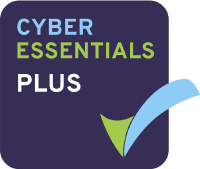 The ability to accurately manage and record exemptions, dispensations and extensions through MARIS means that a 90% error rate on exemptions has been significantly reduced. The MCI can now analyse performance of a vessel, of a fleet, of a company by generating a report from the system. They understand better how to assist their clients, how to better address risks which are now much easier to identify. Looking forwards to the future, the next phase will look at the MCI integrating their MARIS implementation with their accounting and financial processes. The Maritime Cook Islands is a relatively small business and the investment that they have made in the system is significant but one which is already demonstrating a return on their investment. MARIS provides the MCI with a stable and comprehensive platform on which they can continue to grow and develop. Their CEO has stated that in the next 10 years, they expect to become a significant and well respected open register for ships and yachts. MARIS gives the MCI the ability to manage the compliance of the ships that fly their Flag; thereby ensuring that the reputation of the Cook Islands, as a quality Flag and responsible member of the international shipping community, continues to grow.